The international NGO Operation Smile has conducted medical programs in China since 1991 to provide surgical care for children suffering from a cleft lip or cleft palate to improve their living conditions and health. Sephora China provides support for this initiative in a context where only 6.3% of surgical interventions performed each year benefit the poorest one-third of the global population. In China, approximately one in every 600 new births is born with a cleft lip or cleft palate, preventing them from talking or eating properly. Sephora China has since 2015 provided support for the international NGO Operation Smile, helping raise funds for costly corrective surgery. 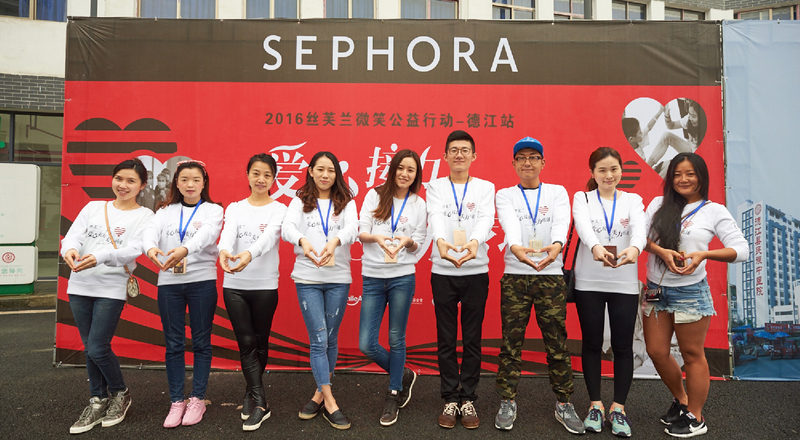 This initiative underlines Sephora China’s active commitment to social responsibility. Sephora China is involved in this effort at two levels. The Maison has launched a line of five products for which all proceeds are donated to Operation Smile, enabling more children to benefit from the necessary surgery. Available in Sephora stores and online, these products help mobilize broad support behind this action. Sephora also provides support for local medical teams. Since 2015, there have been four onsite visits by over 50 Sephora volunteers, along with 110 medical volunteers from around the world. A total of 758 children have been treated so far, and Sephora aims to help 1,000 children by the end of 2017.